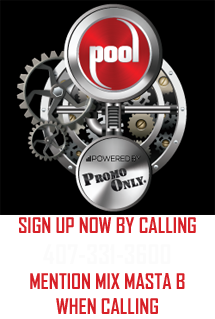 Could a “good brother” showdown be on the horizon for WWE Starrcade 2017 in Greensboro, N.C.? 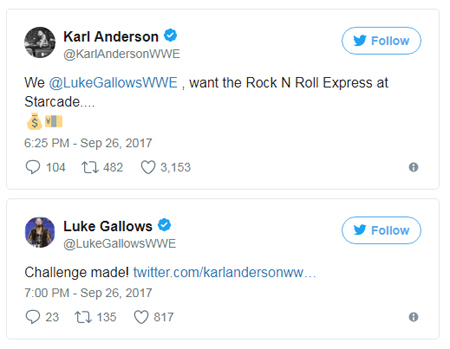 A challenge from Luke Gallows & Karl Anderson has old school and new school fans buzzing with anticipation. 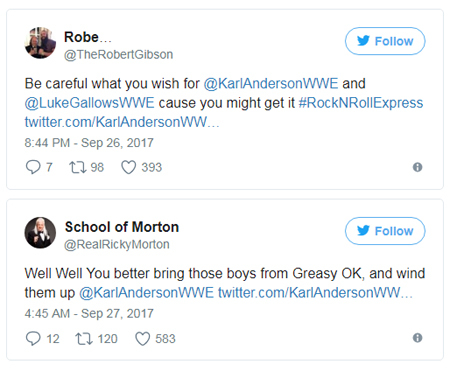 Gallows & Anderson took to Twitter to call out 2017 WWE Hall of Fame Inductees Ricky Morton & Robert Gibson, The Rock ‘n’ Roll Express, for the Thanksgiving weekend extravaganza. 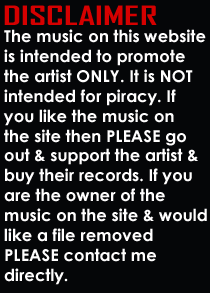 While some may have thought The Club issued the challenge in jest, Ricky & Robert didn’t take it lightly. Were this battle to take place, The Rock ‘n’ Roll Express would certainly have the homefield advantage. Morton & Gibson took part in two highly revered Steel Cage Matches at Starrcade in Greensboro – defeating Ivan & Nikita Koloff to win the NWA World Tag Team Championship in 1985 and successfully defending the gold against Ole & Arn Anderson in 1986. 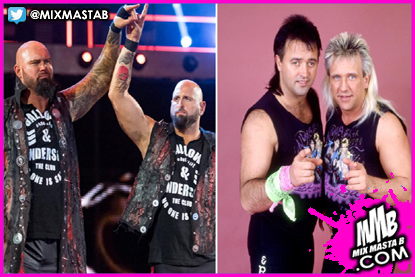 The Rock ‘n’ Roll Express are scheduled to appear at Starrcade’s return to Greensboro on Saturday, Nov. 25. Will Gallows & Anderson be there to confront them? Tickets for WWE Starrcade 2017 will be available starting this Friday, Sept. 29, at 10 a.m. ET. Click here for complete information on this historic show, including the full match card.